There are three primary reasons why a paging alternative for hospitals should be considered by healthcare organizations – the costs of running the paging system, the lack of efficient communication provided by pagers and HIPAA compliance. The costs of running paging systems were highlighted recently in a study conducted by HIMSS Analytics, produced after researchers had investigated the cost of running a pager communications system in 200 hundred hospitals with a hundred beds or more. The study revealed that large healthcare organizations spend an average of $179,000 per year for pager systems in hospitals, and that the average cost of running a single device is $8.40 per month. Researchers also found that the single most popular reason for persevering with pagers – rather than finding a cheaper paging alternative for hospitals – is their “perceived reliability”. The lack of efficient communication provided by pagers is widely acknowledged in the healthcare industry. When medical professionals are contacted by pager, they often have to call back the sender of the message to find out further details in order to establish what priority the message should be given. The process is time-consuming and can result in phone tag if the sender of the message is not immediately available, or in errors being introduced into the conversation. Due to the limited record-keeping of messages communicated by pager, there is also a lack of message accountability. The inefficiency of pagers was picked up by CNN Money in 2013. In an article in which pagers were described as “archaic communication technology”, CNN Money claimed that pagers were costing the healthcare industry billions of dollars each year. Medical professionals wasted an average of 45 minutes each day playing phone tag. 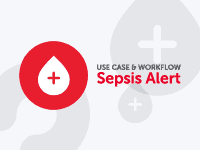 A paging alternative for hospitals could accelerate patient discharge times by 50 minutes. The time saved by eliminating phone tag and accelerating discharges would save medical facilities an average of more than $550,000 per year in staffing costs. A popular paging alternative for hospitals is secure messaging. Secure messaging works by creating a private communications network for each healthcare organization and then only allowing authorized personnel to access it. Access to the private network is via secure messaging apps that work across all operating systems and can be downloaded onto any desktop computer or mobile device. 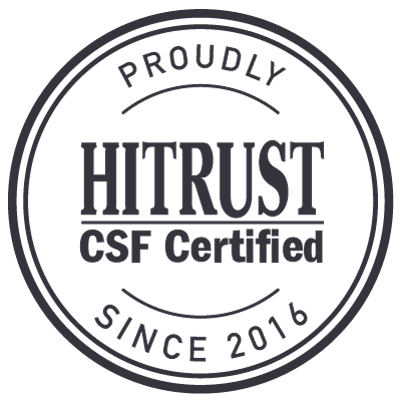 Using the HIPAA-compliant messaging apps, medical professionals and other authorized personnel can send messages and receive replies, or access test results and share images, with no risk to the integrity of PHI. Due to features such as delivery notifications and read receipts, the need to play phone tag is eliminated and 100% message accountability is assured. Secure messaging provides the speed and convenience of mobile technology with enterprise-grade security. As a paging alternative for hospitals, secure messaging is quick and easy to implement. Authorized users will be familiar with the text-like interface of the apps, and used to their operation if they have previously used a commercially available messaging app such as iMessage or Whatsapp. 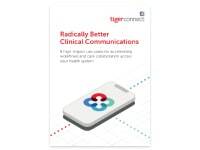 After reading the HIMSS Analytics report mentioned at the beginning of this article, we used data from medical facilities that have already implemented TigerText’s paging alternative for hospitals and found that the average cost of TigerConnect to healthcare organizations is less than $5.00 per user, per month. 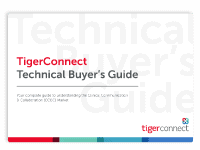 It is also worth noting that TigerConnect operates via a “Software-as-a-Service” cloud-based platform, so there are no hardware costs associated with setting up the secure messaging solution. Healthcare organizations will not need to dedicate the resources of an IT department to install complicated software, and medical professionals will require minimal training on the use of the secure messaging apps due to their familiar text-like interface. If you would like to find out more about the benefits of our paging alternative for hospitals, you are invited to contact us and request a non-obligation demonstration of TigerConnect in action. Our team can answer any questions you may have regarding the implementation of secure messaging solutions and how they can increase productivity and reduce costs in your healthcare organization.